April is Jazz Appreciation Month, and there seems to be no end of options to enhance your appreciation. Jazz is alive here, no April Fool! • Robert Glasper Trio at the Dakota (March 28). Deriving his own sound from eclectic influences (bebop to hip-hop), Glasper is one of the most lauded of his generation of pianists. Although they started out with a rather static series of lovely but ultimately immobile musings, energy began to flow after about 30 minutes and a near sell-out crowd was treated to some ever-shifting, playful and virtuosic chamber work. And it was the longest jazz set I ever heard, anywhere, at about two hours and fifteen minutes. Easily the best show value per minute! • Judi Donaghy’s Live at Five at McNally Smith College (March 29). Judi finally put her songwriting skills on the front burner, and with a raft of new songs and new arrangements, produced a slambang show of everything from blues, swing and pop to hymn and cattle calls. It all worked. Keep ‘em coming, Judi. • Maud Hixson and Denny Malmberg at Fireside Pizza (March 30). It’s usually Charmin Michelle’s gig but when she needs a sub, she can’t do better than Maud Hixson. And why not turn a suburban pizza joint into a sophisticated cabaret? Songs we know, songs we don’t, songs in French, and special treats like Doug Haining on clarinet and a guest spot filled by Arne Fogel. And it’s certainly worth the jaunt to Richfield on Charmin’s nights as well, usually every Monday and Wednesday. It’s a dense weekend of jazz, from the smooth voice of Bruce Henry to the sonic antics of Dave King. Bruce returns from Chicago to join up with his old band and serenade the weekend crowd at the Dakota (4/1-2). Fortunately his frequent visits fill the gap we all feared with his departure two years ago. There isn’t another male vocalist within earshot who has the same level of delivery or repertoire as Bruce, who for some reason is not yet a national treasure. I guess we’ll just keep him for ourselves. 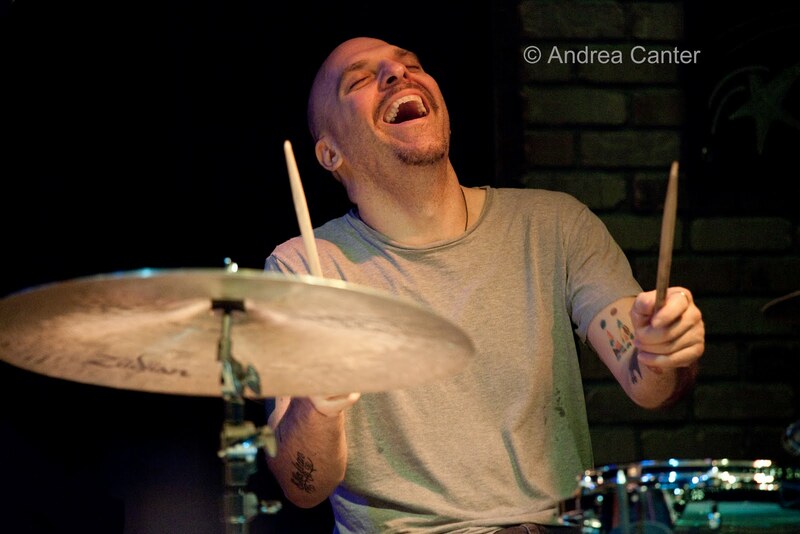 Across the river, our home town drum monster Dave King keeps a higher profile with The Bad Plus and Happy Apple, and now with his new project, the Dave King Trucking Company, driving into the Artists Quarter for the weekend (4/1-2). 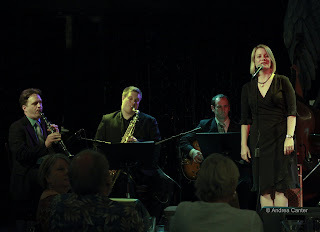 And it’s a talented crew, with Brandon Wozniak on sax, Erik Fratzke on guitar and Adam Linz on bass. Somewhere between the acoustic jazz of TPB and over-the-edge antics of HA, the DKTC is also a force in modern music, recently returning from gigs in Europe. Down the block from the AQ, the Lobby Bar of the St. Paul Hotel hosts a CD release party for its queen of weekend Happy Hour, JoAnn Funk, Saturday night (4/2) with longtime bass partner Jeff Brueske and frequent drumming cohort Nathan Norman. The title of the recording, Pick Yourself Up, not only refers to the opening track but to the benefits of spending an evening with JoAnn in the Lobby Bar. The music is upbeat, sultry, and a perfect unwind. And across town, it’s the very cool avant Jelloslave at the very cool and classic digs of the Aster Café (4/2), making it too many options for a Saturday night, but aren’t we lucky to have the dilemma? And to have bands like Jelloslave (cellos, tablas, drums) in such accessible settings? Sunday afternoon (4 pm) is another Jazz From J to Z concert sponsored by the Twin Cities Jazz Society. This one at the Artists Quarter brings us across the Atlantic to the songs of the continent, or at least inspired by continental themes, performed by French 75 and vocalist Maud Hixson. French 75 (referring to a cocktail named for an artillery gun) is the brainchild of clarinetist Tony Balluff, and with Robert Bell, Gus Sandberg, Steve Pikal and Nathan Norman, it’s one of the most swinging bands around. Add in Maud’s subtle swing (and perfect French!) and it will be a lovely way to spend a Sunday afternoon. 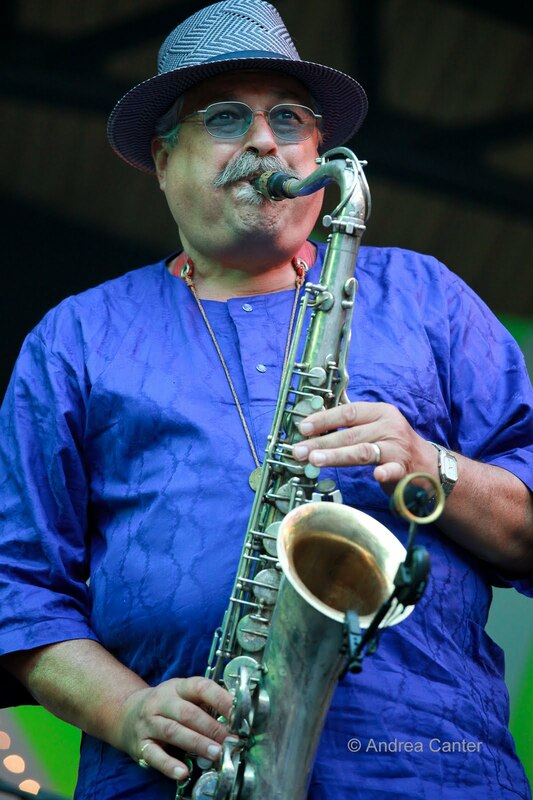 One of the most highly regarded saxophonists brings one of his most successful bands to the Dakota for two nights, April 4-5. 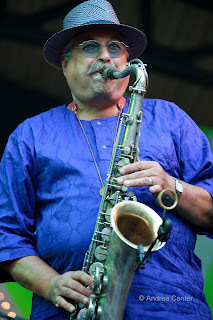 Joe Lovano and Us Five were big hits at the 2010 Twin Cities Jazz Festival, and just a couple months ago released Bird Songs, new interpretations of Charlie Parker gems. No, Esperanza Spalding is not on the Midwest tour, but bass duties again will be ably handled by Peter Slavov. The two-drum configuration makes this quintet a rhythmic powerhouse. The Dakota keeps the music coming this week, turning the stage over to the eccentric Philip Glass for a rare solo piano gig (4/6) in conjunction with the Lucinda Childs Dance Company’s shows at the Walker Art Center; and to 91-years-young Irv Williams for a CD release and what the elder statesman of sax claims to be a “Retirement Party” on Thursday (4/7). This just in-- the Atlantis Quartet will begin a monthly "Shiftin Paradigm Music Series" at Jazz Central on the first Tuesday of the month. This week (4/5) will be a kickoff for their upcoming tour which includes stops at Nighttown in Cleveland and Puppets Bar in NYC. Also on Thursday (4/7), it’s the April edition of the TCJS Young Artists Series at the AQ followed by the Chris Lomheim Trio. The young jazzers this month come from Minneapolis Southwest High School where they study with Keith Liuzzi. Two combos will perform starting at 7 pm. Stick around for a guy who was once one of those prodigious teens, now enjoying his status as one of the area’s top pianists, Chris Lomheim. Best know for his interpretations of Bill Evans, Chris is also adept at spinning bebop into gold, and usually throws in some of his own exceptional compositions. Saturday, April 2: Brunch with the Zacc Harris Trio at Hell’s Kitchen; Benny Weinbeck Trio at D’Amico Kitchen; Paula Lammers and Cloud Nine at the Lakeville Area Arts Center; Merciless Ghost, a new band with George Cartwright, Josh Granowski and David Seru at the Black Dog; Reynold Philipsek at the 318. Sunday, April 3: Brunch with Patty and the Buttons at the Aster Café; Zacc Harris Trio at the Riverview Wine Bar. 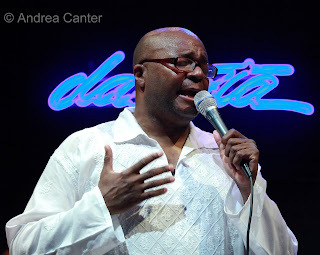 Monday, April 4: Charmin Michelle and Denny Malmberg at Fireside Pizza (Richfield); Lori Dokken’s Singer Showcase at Camp Bar with guest host Aaron Keith Stewart; James Buckley Trio at Barbette. Tuesday, April 5: Cory Wong Quartet followed by the Tuesday Night Band at the Artists Quarter. Wednesday, April 6: Charmin Michelle and Denny Malmberg at Fireside Pizza (Richfield); Wolverines at Hell’s Kitchen; Steve Kenny and the Bastids followed by the Dan Musselman Trio at the Artists Quarter; Sample Night Live at the History Theater, featuring Vicky Mountain.